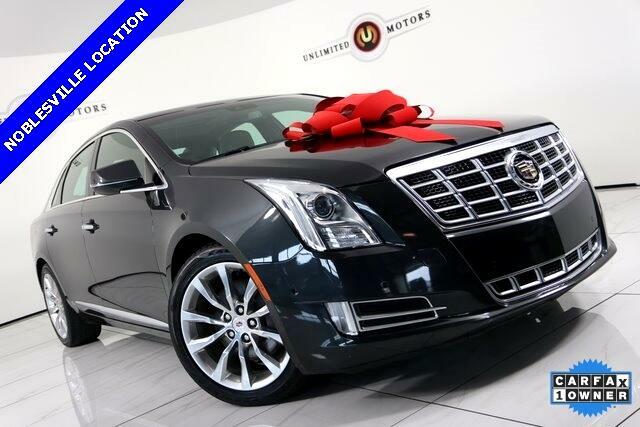 Navigation, Back Up Camera, Bluetooth, Panoramic Roof, Heated Seats, XTS Luxury, 4D Sedan, 3.6L V6 DGI DOHC VVT, 6-Speed Automatic Electronic, 4-Way Driver Power Lumbar Control Seat Adjuster, 4-Way Front Passenger Power Lumbar Control, Adaptive suspension, Alloy wheels, AM/FM radio: SiriusXM, Auto-leveling suspension, Automatic Parking Assist, Bose Premium 8-Speaker Audio System Feature, Dual-Outlet Stainless-Steel Exhaust, Exterior Parking Camera Rear, Front Bucket Seats, Heated door mirrors, Heated front seats, Heated rear seats, Heated steering wheel, Leather Seating Surfaces, Memory seat, Navigation System, NavTraffic, Radio data system, Radio: Cadillac CUE Information & Media Control, SiriusXM Satellite & HD Radio, Spoiler, Turn signal indicator mirrors, UltraView Power Sunroof, Upper & Lower Auxiliary Daytime Running Lamps. CARFAX One-Owner. 18/28 City/Highway MPG Priced below KBB Fair Purchase Price! Message: Thought you might be interested in this 2015 Cadillac XTS.